Explorer LaunchPad is an extension for the Windows Explorer. 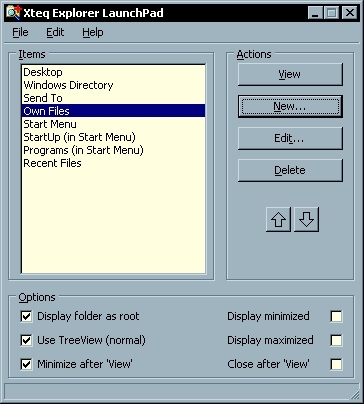 Instead of opening the Explorer and moving through the directories until you have the directory you would like to see, use this program to make it much more easier. Simply add an item to Explorer LaunchPad and click "View" - your directory is opened immediately. 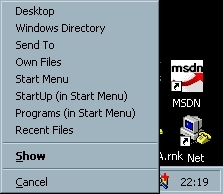 You can also selected how the Explorer should appear and how the directory is displayed. Beside this, it has a trayicon so it won't waste any space on your taskbar when minimized. All your configured items are directly accessible from there also.